To provide more comprehensive service and convenience to new and existing clients, RDHB CPAshas added a financial planning division—RDHB Wealth Management. The firm is partnering with Andy Roberts, a private wealth advisor with more than 15 years of experience in the field, to offer a multitude of expanded services: retirement planning; investments; estate planning; life, accident, and health insurance; long-term care insurance, and college planning. RDHB’s business clients benefit from the new services as well. When reviewing a company’s retirement plan offerings, the tax and wealth management teams can quickly and easily collaborate to determine if the client has the best possible plan for its situation. Prior to leading RDHB Wealth Management, Roberts held financial planning and compliance management roles with other financial services firms in the Rochester region. He holds five securities licenses as well as a life, accident, and health insurance license with a certification in long-term care planning. He is a 10-year member of the Financial Services Institute, which acts as an advocate for independent financial services firms. Roberts has also completed the Certified Financial Planner (CFP) Board-registered education program, and is currently preparing for the cumulative exam to obtain the CFP certification—the most prestigious certification in financial planning. 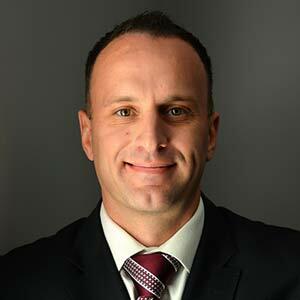 He holds a bachelor’s degree in business with a concentration in finance from SUNY College at Brockport. RDHB CPAs is a Pittsford-based, boutique accounting firm that provides its clients with personalized tax, business planning, accounting, auditing, and financial services. For more information, visit www.rdhbcpa.com. Andy Roberts, Registered Representative, Securities offered through Cambridge Investment Research, Inc., a broker-dealer, member FINRA/SIPC. Advisory services offered through Cambridge Investments Research Advisors, a Registered Investment Adviser. RDHB Wealth Management and Cambridge are separate entities, independently owned and operated. RDHB Wealth Management, RDHB CPAs and Cambridge are separate entities.